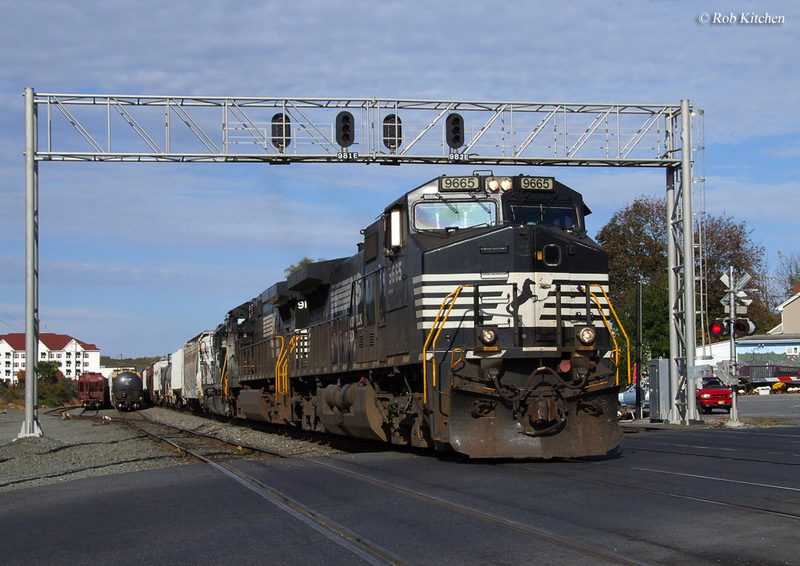 The GE C40-9 and C40-9W was essentially a de-rated C44-9W built specifically for Norfolk Southern from the mid-1990s through the mid-2000s. Also per NS's desire at the time the railroad's first order of 4,000 horsepower "Dash 9s" all came equipped with standard cabs instead of the more traditional wide, safety cabs. Eventually the company was required by the FRA to purchase the wide cab design and was only able to roster about 125 units with the common standard cab. The "Dash 9" series followed the previous "Dash 8s" in the mid-1990s with upgraded electronics and other components, and NS would come to own more than 1,200 of the C40-9s. Still relatively new locomotives at less than 20 years of age, almost all of the locomotives NS has purchased remain on the active roster hauling freight (they are commonly found operating in heavy drag service given the tremendous tractive effort which they can produce). 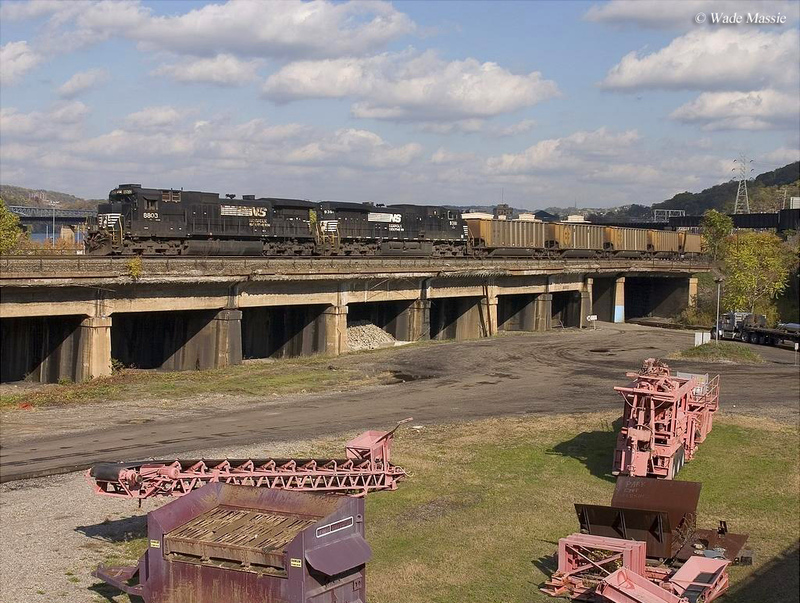 The C40-9 and C40-9W built for Norfolk Southern were actually constructed a year after the C44-9W debuted in 1994. Essentially the two are nothing more than less powerful C44-9Ws. The model was a step up from the "Dash 8s" in that it featured upgraded components and electronics such as new traction motors and a redesigned generator. The GE model B13B traction motor, which replaced the model 752 (a design that had been used by the company dating back to the Universal series), although the new design was just as reliable if not more so than the former. The C40-9/W was one of the first GE locomotives to be equipped with the relatively new high-adhesion (or HT-C) truck, which helped to improve wheel-to-rail contact. The "Dash 9s", however, still carried GE's model 16FDL prime mover. One of the design's notable selling points was the incredible tractive effort it offered (140,000 pounds starting and 109,000 pound continuous), which also included the more powerful C44-9W model. 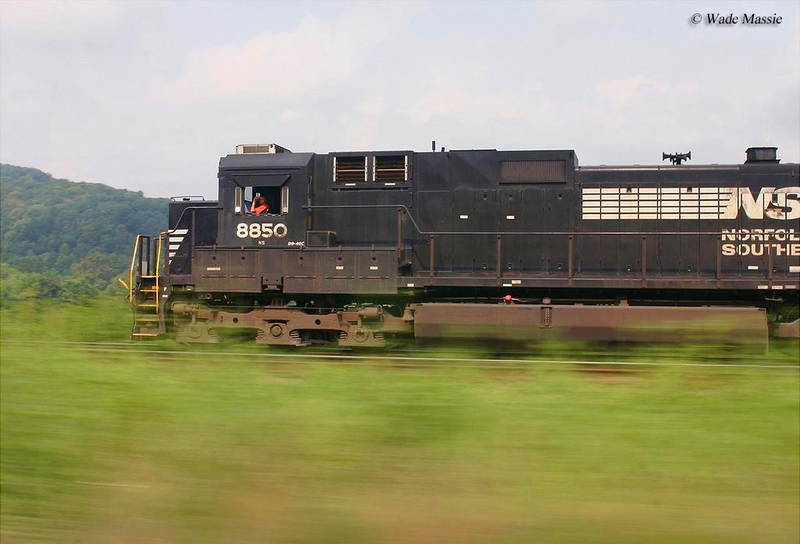 Production of the locomotive began in early 1995 and all 125 purchased by NS were completed that year. Very happy with this first batch and desperately needing power to keep up with the traffic demands of the economic boom occurring in the U.S. at the time; a year later, in early 1996 NS returned for more, in this case the C40-9W model, which featured the wide, safety cab. While NS did go on to purchase GE models like the C44-9W for nearly ten years it continued to order C40-9Ws as needed, through late 2004 until GE ended production on the model. When the manufacturer released the more energy efficient Evolution Series (ES) models in 2005 NS continue to purchase the design in the new series. Today, the road continues to buy Evolutions with 4,000 horsepower known as ES40DCs. In any event, by the time GE had closed out the C40-9W order for NS it owned nearly 1,100 units, and more than 1,200 in all. Up to that time it was one of the largest ever single orders for a particular model by a railroad. 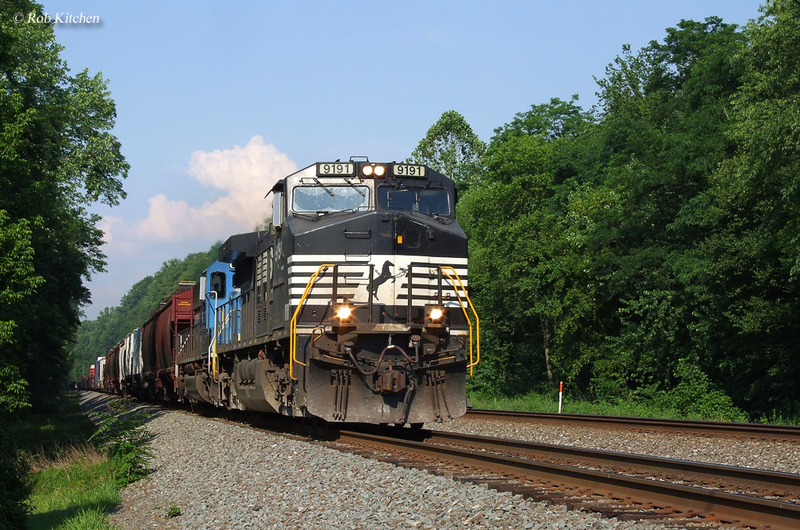 While it is tough to tell given the similarities between GE's present day models nearly all of Norfolk Southern's original fleet of C40-9/Ws continue to remain in regular freight service across its system.